Sharing “Before & After Photos” of the Harvey Limes Gravestone that was Cleaned with D/2 Biological Cleaner. Sharing a Reminder to Learn and Follow Safe and Do No Harm Best Practices for Cleaning Your Ancestors’ Gravestones! | "Limesstones"
This entry was posted in Cemeteries, genealogy, Photographs and tagged cemeteries, Cemetery Preservation, special event, upcoming event. Bookmark the permalink. 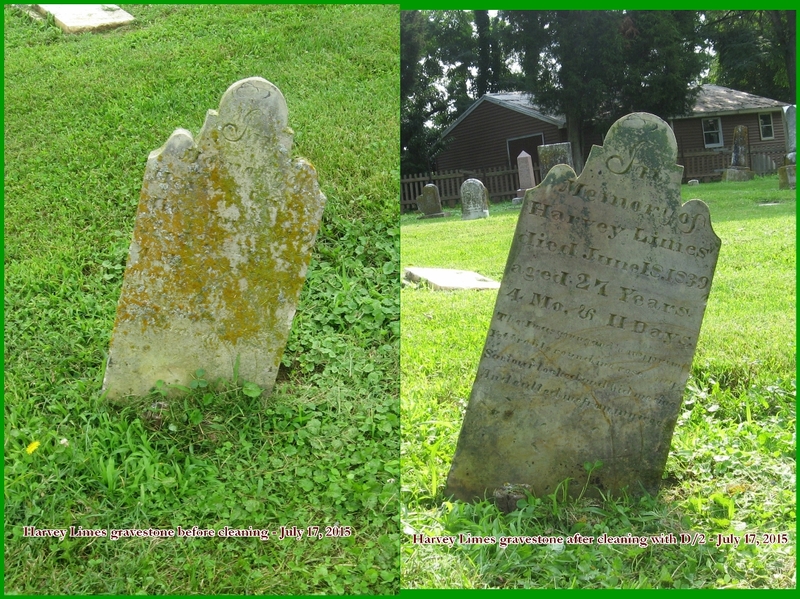 Pingback: Sharing “Before & After Photos” of the Harvey Limes Gravestone that was Cleaned with D/2 Biological Cleaner. Sharing a Reminder to Learn and Follow Safe and Do No Harm Best Practices for Cleaning Your Ancestors’ Gravestones! | "